Today’s post is a bit different. 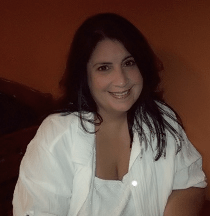 I am interviewing fellow author, blogger and my sister, Staci Troilo. I’ve been following Staci’s writing journey since she started. 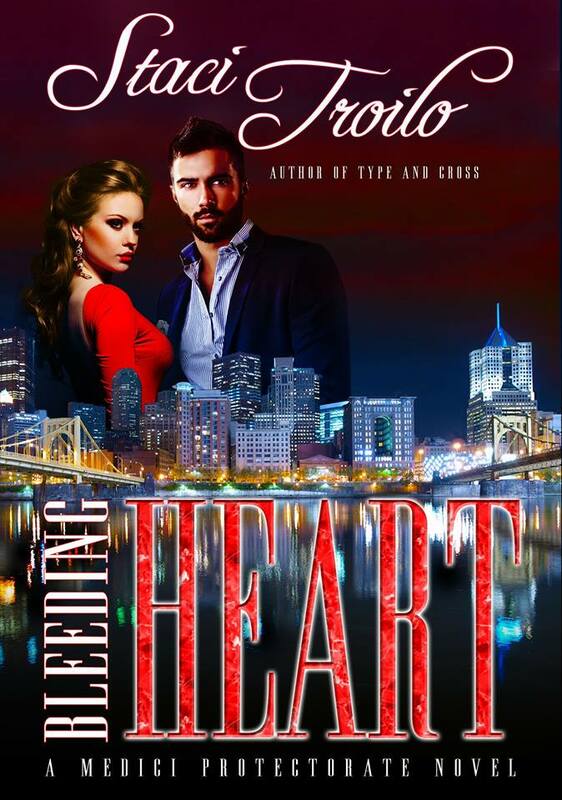 I’m excited to have my sister as my guest today sharing her journey as an author, and information about her upcoming book, Bleeding Heart, being released on August 11. You can pre-order at Amazon or iBooks. Please welcome Staci Troilo! I’m so happy to be here today to talk to your friends, Michele. Thanks for inviting me. What gave you the idea for Bleeding Heart? This story holds a special place in my heart because the initial seeds of it are rooted in my ancestry. No, I’m not a descendant of the Medici. However, my grandfather always told us the story of his father’s birth—he was the illegitimate son of a duke. That got me thinking about the famous royal lines of Italy, and what would happen if an heir appeared. A discussion with my children—who were learning weapons in their TKD black belt classes at the time—soon had me incorporating a supernatural warrior element into the mix. Now, every time I think about the roots of this saga, I think of both my grandfather and my children. I love that those two generations came together to help me make this work, particularly given my kids never had the pleasure of meeting my grandfather. What is your favorite part of this story? Ooh, that’s difficult to answer. I think I’ll tell you who my favorite character is, instead. The grandmother of the heroine is my favorite. In some respects, I modeled her after my own grandmother. Not only is this character an amazing woman, the person who inspired her is amazing, too. Beta readers have asked for even more of her, so I guess my nonna—whether fictionalized or in person—is someone everyone loves. I know I simply adore her. I understand this story takes place in Pittsburgh, near your hometown. What makes this setting so special? I haven’t been blessed to live in Western Pennsylvania since January 2000. But I take it with me, everywhere I go. I decided that it was time I write a story that paid homage to my roots. While I made up many of the businesses and locations, I stayed true to the city, its suburbs, and the character of the area. Hopefully people reading this will come to love the area as much as I do. 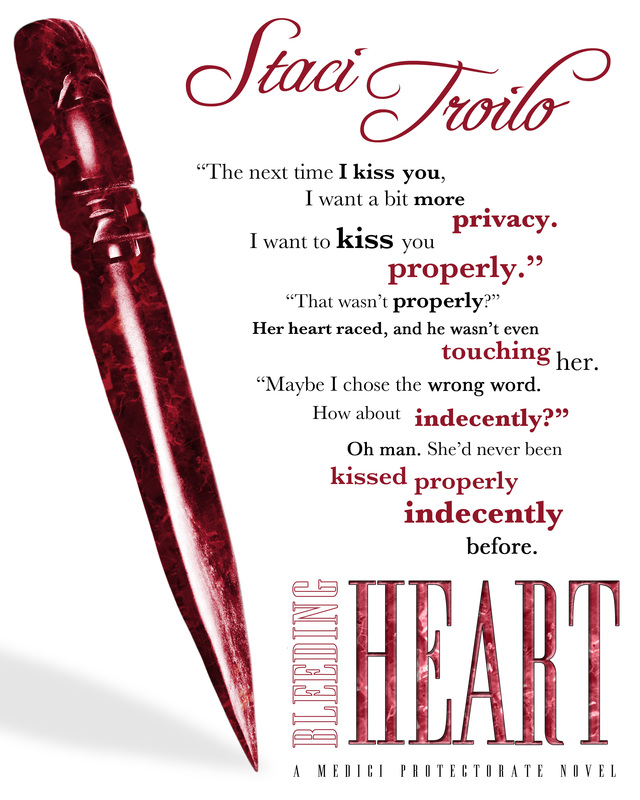 If you could be any character in Bleeding Heart, which one would you be, and why? I think it’s too easy to pick a lead character—we’re supposed to adore them. (At least, by the end we should.) And I already sent some love to the grandmother in this piece. So I’m going to choose Mike. He has a wealth of knowledge and power, and he’s harboring a secret. Many secrets, actually. I think it would be fascinating to be him. At least for a day or two. I’m not sure I’d want all the burdens he carries! But experiencing that power… that would be kind of cool. What has been the most challenging part of this publishing process? Every phase of writing and publishing has its pros and cons. Most recently, I’d have to say just being patient and waiting for the book to go live. But even since the inception of the series, there have been hurdles. Writing isn’t for impatient people, and it isn’t for sensitive people. (Sadly, I’m a bit on the impatient side. But I have learned not to take critiques personally, so that’s a plus.) You need a thick skin and the ability to wait without going crazy. I heard that you are working on a couple of sequels. Would you tell us about them? The Medici Protectorate Series will be a four volume set, with the possibility of a few additional pieces. I’ve already completed the first draft of Mind Control, book 2 of the series. The other two novels, Body Armor and Tortured Soul, are outlined. These novels follow the other sisters and warriors, and while each is a standalone novel, the overall saga storyline will conclude at the end of book four. (There may be a short story or a novella or two, focusing on some of the secondary characters, and my publisher wants me to do a corresponding cookbook, but I haven’t done any work on these pieces yet.) I’m also writing the sequels to Type and Cross, the first book of the Cathedral Lake Series. The second installment, Out and About, is roughly half done, and the third book of the series, Pride and Fall, has already been outlined. So I have a lot to keep me busy. It’s so cliché, but I’ve been writing since I could actually form letters on the page. And before that, I just told stories to anyone who would listen (which was usually my mother or my toys). When I went to college, I tried a few different majors, because everyone said I couldn’t make a living writing. But I finally switched my major to writing. And guess what? You can make a living writing. I have. I’ve worked in advertising, development, corporate communications, technical writing departments, and marketing, and I’ve taught writing in college. Most recently, I’ve been writing and editing fiction. There are plenty of jobs out there for writers. You just need a passion for the vocation. Write. I know, that isn’t very helpful. But it’s the best I can tell you. Write anything and everything you want, and write often. Consistently. Frequently. Practice makes perfect, so practice. Hone your skills until they are violently sharp. Solicit feedback, listen to the comments, and revise. Then write some more. People will tell you to build your platform and work on your marketing, and it’s true—fiction writers have to do those things. But your best sales tool is a big backlist—a big well-written backlist—and you won’t get one if you don’t write. Staci Troilo grew up knowing family is paramount. She spent time with extended family daily, not just on holidays or weekends. Because of those close knit familial bonds, every day was full of love and laughter, food and fun. Life has taken her one thousand miles away from that extended family, but those ties remain. And so do the traditions, which she now shares with her husband, son, and daughter… even her two dogs. And through her fiction, she shares the importance of relationships with you. Mystery or suspense, romance or mainstream—in her stories, family is paramount. I enjoyed having you. Yes, let’s do it over coffee and Nana’s biscotti! Well, Missy. We all know I learned “Damn Skippy” from you. Love this interview, Michele, and I’m a big fan of Staci. Staci – well worded advice to writers. I’m working on my back list even before I publish the first full length novel. Thanks, Joan. it’s always a pleasure to visit with my sister, even over the phone. I’m glad her advice was helpful. Keep writing! Thank you, Joan. I really think the backlist is the key. That, and reviews. I’m working on mine, as well. Thank you, Michele, for featuring your very talented and creative sister! I just downloaded the book and can’t wait to delve in and read about a city I adopted five years ago and about characters sure to intrigue the reader. It was truly my pleasure. I have enjoyed her writing for many years and I am glad she is writing for everyone to enjoy. I am glad you are enjoying your adopted city. Staci and I have loved it for years. Thank you, Pat. I appreciate that. I hope you enjoy seeing your adoptive city in print. Interesting interview. Sounds like persistence really paid off for Staci. A lesson there for all of us. Good advice there, also. As for needing a thick skin – that puts me in mind of Isaac Asimov’s observation of writers falling into two groups – those who bleed copiously and visibly at any bad review, and those who bleed copiously and secretly at any bad review. I think I’m in both groups. Good luck with the book, Staci! Thanks for stopping by, Joe. We all need to develop a thicker skin. Thanks for the kind words, Joe. I think persistence is one of the most important tools in any endeavor we undertake. Overnight successes are few and far between, and let’s face it, dumb luck. If you really want to achieve a goal, it takes time. I’m not there yet, but I’m trying! Best wishes to you. You may not be there yet, but you will get there. You are writing, and that is the important part. You may not be there yet, Staci, but you are closer than those who don’t try. I can’t wait to read more of your writing. Michelle I loved the sister interview with Staci I am always amazed at Staci’s drive and talent. Having a sister to share your passion must be pretty special. Looking forward to reading more of your blog too. Thanks, Kath. It’s great to have someone in my family to share my writing passion with. My daughter is also a writer. Glad to have you stop by my blog any time.